Monash Parkville is located at the northern gateway to the internationally significant Melbourne Biomedical Precinct. It is home to a single faculty in Pharmacy and Pharmaceutical Sciences; and occupies the site of one of Melbourne’s oldest education and research establishments – the Victorian College of Pharmacy established in 1881. The campus is a world leader in pharmacy education and research and comprises five buildings. As the home of Monash Institute of Pharmaceutical Sciences (MIPS) and the ARC Centre of Excellence in Convergent Bio-Nano Science and Technology (CBNS), you will view a series of worldclass pharmaceutical research laboratories and technology platforms for screening and developing better drugs for tomorrow. Your tour will take in cutting edge learning and teaching environments for pharmacy and pharmaceutical education, one of Australia’s largest murals – the Acrux sculpture, and medical treatments used by Sir Ernest Edward “Weary” Dunlop during World War II. A highlight of the tour is the immersive VR “Journey Inside a Human Cell” – a collaboration between Australian scientists and 3D animation experts to educate students and patients about biological processes and diseases. Another highlight is the robot automated drug screen/ imaging facility where participants experience augmented reality and 3D printing for medical sciences. Parkville is the smallest and densest of Monash’s four Australian campuses. 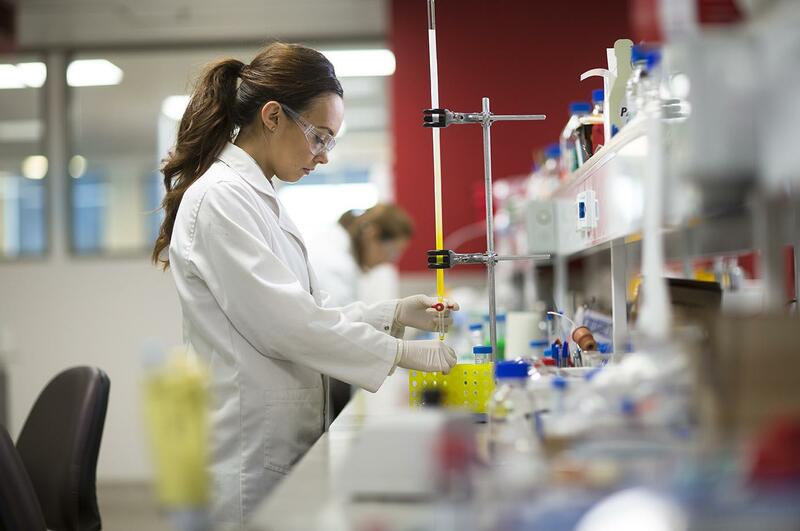 We are a world leader in pharmacy education and research – ranked the number one school of pharmacy and pharmacology in Australia and second in the world after Harvard. Special Programming: The guided tour will take place in Sissons building, Scott building, Manning building and Building 404 (the main research facility). This includes a tour of facilities, with historical information; guided tour of laboratories; 3D virtual reality journey inside a human cell.